Is strength-based parenting right for you? 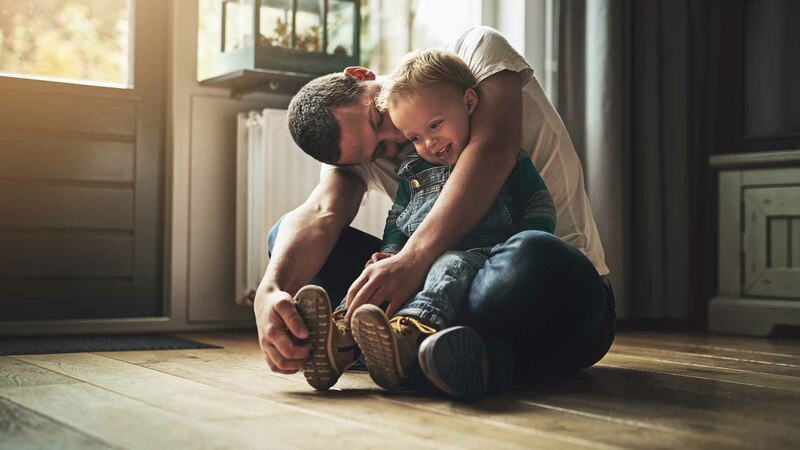 Psychologist Dr Lea Waters explains how strength-based parenting can help you solve problems, boost self-esteem and improve your relationship with your child. Strength-based parenting is an approach to parenting where you help your child to make the most of the skills, talents and positive qualities they already have before you compensate for what they lack. It’s about building up strengths before correcting weaknesses. It’s not about ignoring problems, it’s about discovering what strengths your naturally child has that you can tap into to help fix those problems. For example, you could help a creative child get better at maths by colour coding their homework and allowing them to draw pictures of maths formulas and concepts. Or, you could help a kind but impatient child to tap into their empathy, to soften and redirect a moment where they are about to get impatient with their friends of family. Every child is born with a unique set of strengths. It may be sporting ability, the gift of the gab, artistic talent or uncommonly high levels of empathy and kindness. When a parent shifts their focus to look first at what is right in their child before they fix what is wrong, they are giving their child the opportunity to be his or her best. Because strengths are the qualities we perform well, we gain confidence when we play to our strengths. Finding ways to help your child or teen learn about and use their unique strengths is a foolproof recipe for building energy and esteem. Strengths (both the parents’ and the kids’) are like a positive common ground for the parent and child to connect with. You learn to see and appreciate the best in each other and it builds trust and affection between a parent and a child. It also helps in those tense moments – using your relationship strength helps to defuse those moments of conflict through humour or understanding. Taking a strength-based approach helps you have a bigger perspective about your children so, when behaviour is bad, you can remind yourself that your kid is not always like this and they have good qualities. You can them tap into to qualities to help resolve the situation. Strengths spotting. Think about the strengths that underpin your child’s actions and let them know what you see. Spot the kindness that underpins them sharing with their friends, their self-control to finish homework rather than watch TV and the persistence they’re using in sports training. Strengths letter. Write a letter to your child letting them know about the strengths you see in them and how these strengths will help them cope with challenging time as well as helping them to thrive during the good times. I have a lot of free resources and ideas to support parents at strengthswitch.com – watch the videos, take the strength-based parenting survey, download strength games, look at strength library, take the quizzes and loads more. The Strength Switch by Dr Lea Waters is published by Ebury Australia, RRP $34.99. Psychologist Dr Lea Waters is the author of The Strength Switch: How the New Science of Strength-Based Parenting Helps Your Child and Teen to Flourish.